Mulching can be greatly beneficial to your trees but if you don’t mulch correctly you could do more harm than good to your trees and shrubs. Read on to learn the 5 most common mulching mistakes and what you should do instead. We’ve talked about mulch volcanoes before; they are the most common mulching mistake. You can see examples of mulch volcanoes in most shopping centers and front yards, many landscapers are even guilty of this type of mulching. Mulch Volcano is an industry nickname for piling mulch up at the base of the tree. This may look pretty and like what you’re used to seeing but it’s very detrimental to your tree. Mulch Volcanoes can cause increased susceptibility to insects & diseases, girdling root systems, root rot, and even rodent issues. Watch a video on the effects of mulch volcanoes. Instead: Allow the base of the tree and the tree flare to be exposed. Even if your mulch isn’t piled up in a mulch volcano it is still possible to use too much mulch. Too much mulch can have negative side effects. 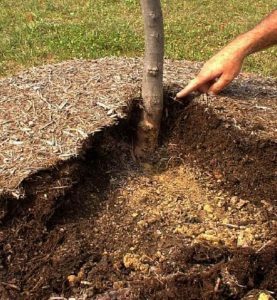 1) Your trees feeder roots t come closer to the surface which will cause stress to your tree when the summer heat kicks up or when the winter cold approaches. 2) Your tree’s roots may suffocate. With large amounts of mulch piled over your tree’s roots, your tree may not be able to access the oxygen it needs to survive. Instead: Aim for 2-4 inches of mulch. Many homeowners have been taught to lay down plastic or fabric tarps before mulching to keep the weeds away. Unfortunately, these don’t work as intended and can even have some negative side effects. These weed barriers can end up strangling plants and shrubs as they try to grow and negating the aeration benefit of mulch that reduces soil compaction. Instead: Forego the weed barriers this year. Proper mulching itself will help keep out weeds. Many waste departments and landfills offer free or cheap mulch, which can be very tempting for homeowners wanting to keep their costs down. But beware of free or cheap mulch that comes from city waste departments. These types of mulch can contain pesticides, dangerous tree diseases or pests, or even weed seeds. Instead: Make sure you know what goes into making your mulch and buy from a trustworthy source. 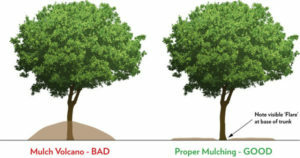 Mulching provides numerous benefits to trees. Mulching insulates the soil helping to provide a buffer from heat and cold temperatures, retains water helping to keep the roots moist, keeps out weeds to help prevent root competition, prevents soil compaction, and reduces lawn mower damage. By not mulching you’re passing up a simple opportunity to improve the health and overall appeal of your landscape. 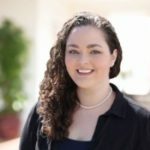 Don’t want to deal with making sure you’re mulching correctly? 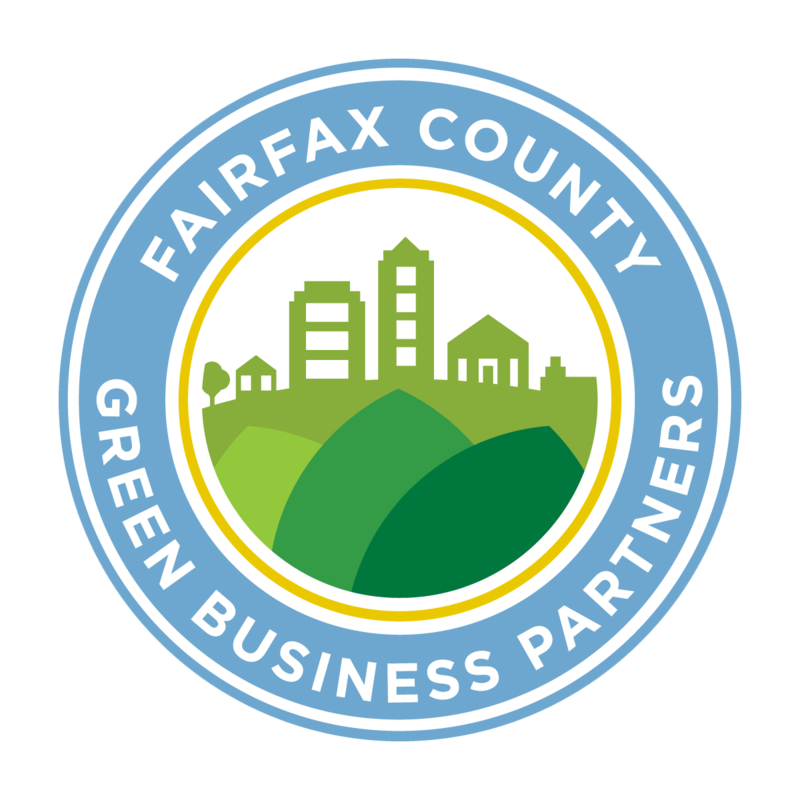 Ask your arborist about adding mulching to you canopy protection program by calling our office at 703.573.3029 or booking an appointment online. Next Why Do Trees Fall Down?